After much hard work, months of practice, and several successful UIL meets, this year's UIL program comes to an end. Thanks to their hard work, our students learned much, developed good habits, and took home many ribbons and trophies. The teams came in early and stayed late as they prepared our students for the various UIL events. But what was most impressive was that all gave that extra effort. And like true champions, some coaches took it upon themselves and dedicated more time to assist students participating in other events. Thank you for your hard work, the team work, and that extra effort. 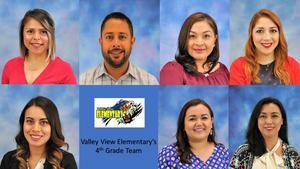 Our Tiger Spotlight shines brightly over the VVE UIL coaches: Antonio Campos, Jessica Carreon, Ruby Clark, Eliamar Gomez, Leslie Guerra, Sonia Niño, Raymundo Serna, Olivia Villarreal, Ricardo Villarreal, and Omar Quintanilla, campus UIL coordinator. Keep up the great work! One Team! One Dream! With the District's UIL meet quickly approaching, the ambition and anxiety are starting to show. With all the hard work and long hours that go into each event, it is refreshing to know and see the teamwork and loyalty to our students. When a group of students expressed an interest to compete in ready writing, Ms. Leslie Guerra, without hesitation, volunteered to coach them. And when the art smart team needed a little reassurance and a little more practice, Mrs. Sonia Niño stepped in to support them and their coach. Not only are they outstanding, caring teachers, but their actions epitomize "One Team, One Dream." 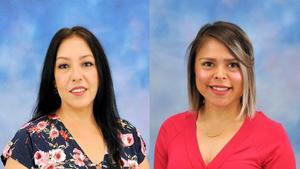 Keep up the great work, Mrs. Niño and Ms. Guerra! We proudly shine the Tiger Spotlight on you! As with all extracurricular activities, our students and teachers devote so much time and effort to our Destination Imagination (DI) program. The countless hours spent preparing for the DI competition are tiring, but rewarding. The teachers start by recruiting students, convincing them to devote the time, preparing for the practices, practicing in the mornings and afternoons. . .and ends with the exhilaration of the competition. But what is most impressive is their relentless pursuit of excellence in their classrooms. They continue providing outstanding instruction to their students, never once neglecting the instruction or their students. 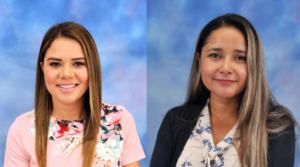 And that is why this week's Tiger Spotlight shines on Ms. Diana Serna, second grade teacher and DI coach, and Mrs. Ruby Clark, science teacher and DI coach. Thank you Ms. Serna and Mrs. Clark. Great teamwork! Keep up the great work! This week's Tiger Spotlight shines brightly over Mrs. Isela Herevia. As our school counselor, she devotes countless hours addressing the needs of our children and providing other services. During Counselor Appreciation Week it is only fitting that we recognize her for her service. Thank you Mrs. Herevia for your hard work! Happy Counselor Appreciation Week! At Valley View Elementary, we are truly blessed with special teachers. One such teacher is Mrs. Eleeza Torio. With a kind heart, endless energy, unsurpassed dedication, and a friendly smile, she guides her students through the challenges they may encounter on a daily basis. She creates individual lessons to address each child's educational needs, provides accommodations to ensure student success, and models the leadership her staff follows. Thank you Mrs.Torio for your hard work. Our Tiger Spotlight shines on you! Keep up the great work! This week’s Tiger Spotlight shines bright over Erika Hernandez. 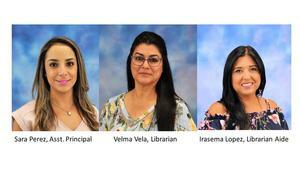 Mrs. Hernandez currently serves as the kindergarten chairperson. Under her guidance, our kindergarten team continues to provide a top-notch education that effectively prepares our students for 1st grade. But her contributions do not stop there. Last six weeks she assisted our 3rd-grade team during tutorials. Keep up the great work Mrs. Hernandez.